This Saturday just gone we participated in the Australian election. 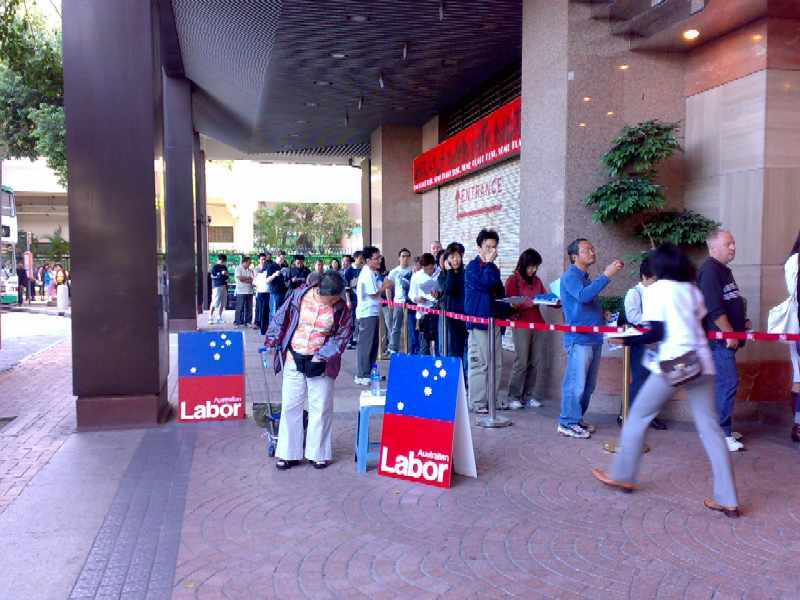 It was quite painless to vote, we just went to the Hong Kong Australian Embassy on the day. We could have voted at any time during the previous 2 weeks, as others did, however we were actually back in Australia during this time. We arrived at 10:30am, along with a fair swag of other Aussies. 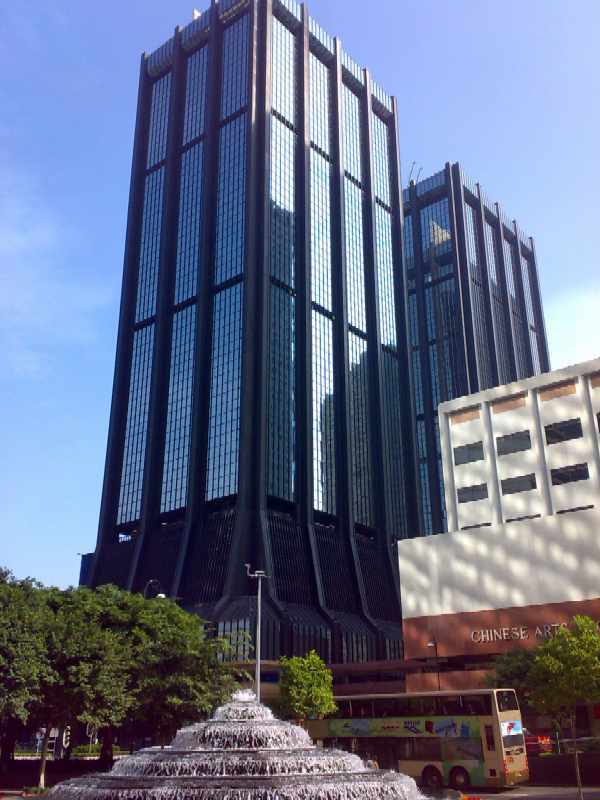 The embassy is on the 24th floor of the Harbour Centre on Hong Kong Island and the queue went outside the building for about 100m and was growing rapidly. If someone had the foresight to run along the queue with a Starbucks cart they would have made a killing. People were being screened by security on the ground floor and the number of people on the 24th floor was being restricted through manual control of the lifts by the building management. It was really interesting to see how many Hong Kong people had Australian citizenship. I reckon only 1 in 20 people in the queue were Caucasian. We had lunch at a restaurant with an Australian family the other day. As we were walking to lunch one of them made the sarcastic comment of "So, just loving China then, can't think of anywhere else you'd rather be?" I was such a normal day-to-day Australian way of asking a question that I was taken by surprise. Most foreigners from other countries don't use sarcasm and I'd gotten out of the habit of using it and wasn't expecting it! Living and working overseas means that all the colloquialisms, slang and humorous jibes all need to be removed from your day-to-day speech. It made me realise that no-one except another Aussie will truly understand exactly what you mean every single time you say something. Sure, many nations share the ability to speak in English with people from other countries and we can communicate with each other, but it's like a layer of communication gets stripped off leaving just starched raw information, like notes written on a stave compared to music performed by an orchestra. From that point onwards you can imagine the sort of conversation we had over lunch. The Australian slang just poured immediately back into the conversation, the speed at which we all spoke accelerated (Aussies are speedy talkers! ), we talked about all kinds of Australian things, the things we missed, the things we liked, politics, sport, animals, all the while being completely Australian about it. It felt like for a few brief hours an invisible weight had been lifted.